Ez previously owned a business with her friend Marichelle called Nice Package. They recently shut down the blog and she is sharing some of the great posts on her new blog, Creature Comforts. 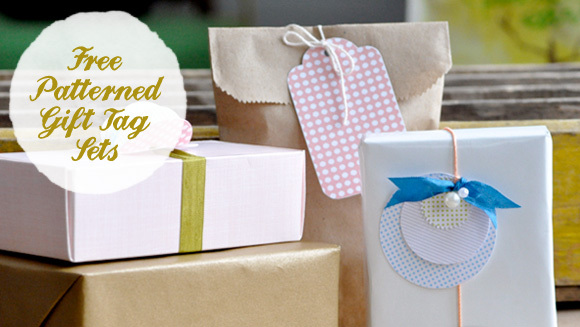 That is where these cute printable patterned gift tags originated from. The sets come in diamonds, dots, quatrefoil, stripes, and vines and you can download them all for free HERE.